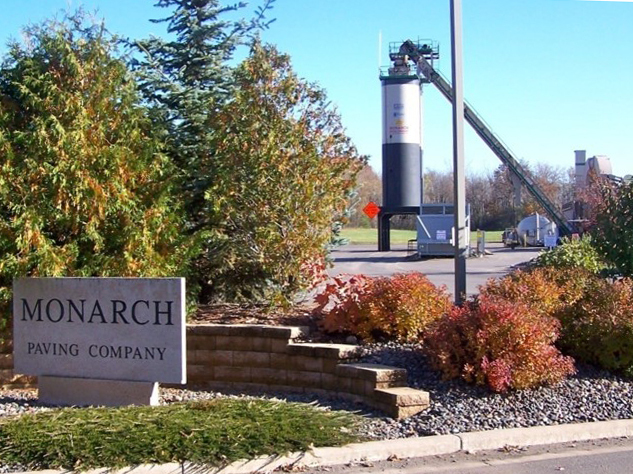 The Wisconsin Department of Natural Resources and WAPA created the Hot Mix Asphalt Environmental Leadership Award to recognize hot mix asphalt plants that have exceeded the already high environmental standards that are set for the asphalt industry. The award criteria were developed by a subcommittee of the Environmental Technology Transfer Team, which included DNR and WAPA along with representatives from the Wisconsin Towns Association, Wisconsin County Highway Association, League of Wisconsin Municipalities and Marathon County Zoning Department. The appearance of the plant is one of five judging criteria. Winners of the Hot Mix Asphalt Environmental Leadership Award have achieved environmental excellence above and beyond what is required of them by environmental regulations. While environmental performance is the focus of the award, an HMA plant also has to show exemplary performance in safety, plant appearance and community relations. Additionally, the winners are dedicated supporters of their community. This award is an example of an industry sector working proactively with a regulatory agency and local governments to improve the environment and enhance its public image. To earn this award, these leaders in the HMA industry have to achieve the highest ratings in community and environmental excellence via a rigorous inspection of their facilities. The inspection team consists of a local government official, an equipment expert who is familiar with asphalt plant machinery and DNR’s asphalt sector specialist. The inspection team’s responsibilities include on-site evaluation and scoring of 70 award criteria. The inspection team uses the Environmental Leadership Program Inspection Form to record scores for each of the 70 award criteria. All permit requirements, record keeping and other regulatory requirements must be at 100 percent compliance. Plants must have an employee safety policy manual and demonstrate that all employees have received training. There must be posted speed limits and a clearly established truck and loader travel pattern. Points are scored for low visible emissions, clean storm water, minimizing fugitive dust emissions and good management of petroleum products. Other important criteria are noise and odor control. Incorporating recycled asphalt into mixes and using reclaimed oil as fuel are also encouraged. An award-winning plant will be a nicely painted plant with attractive landscaping at the entrance and interior. The plant site will be neat, clean and orderly. The scoring team reviews the plant’s activities for plant tours, of school sponsorship programs, support of local charities and in-kind donations, such as asphalt or use of equipment. Proactive involvement of plant officials with local government and neighbors is encouraged. The award committee set the award period at three years to ensure that plants maintain their high level of performance. The purpose of reinspection is to assure that all award-winning plants are still operating at the same or better level of performance after the first three years. Plants that achieve this level of performance will then be reissued the Environmental Leadership Award for an additional three years. The reinspection criteria and passing score are the same as the original award criteria. If the equipment has not been significantly changed, the team will include a local government official interested in planning, zoning and environmental permits and the DNR’s asphalt sector specialist. The original award will be effective 90 days past the original three-year inspection date to allow for sufficient reinspection time. See the list of 2018 Environmental Leadership Award Winners . A complete listing of past winners highlights all plants that have won the Environmental Leadership Award since its inception in 2000. This includes the original year of each award and all renewals awards.